KnowledgeBase Builder – Mind-mapping, flash card making, flowchart creating, decision tree planting; if you’re looking for a way to quickly and easily organise your thoughts – whether for personal use during lesson planning, or for a class demonstration - KnowledgeBase Builder could be your go-to app. Available for just £2.74, the programme enables users to create browsable cross-linked charts in the format of their choice, with a drag-and-drop interface and the ability to import all Wikipedia references for any given subject. Images can be incorporated and work can be both accessed and edited on any Windows or Android platform, allowing users to amend errors any time they choose. Sway – Lesson prep can take up as much time as actual teaching, so any tool that can cut that time without cutting quality must always be welcome. Sway is a free-to-use story-telling app, which takes your data and transforms it into the interactive presentation format of your choice. With multimedia input and an array of attractive designs, it’s possible to create a bespoke report on any subject, with slides – digital or printable – on any subject. With sharing and collaborative facilities built in, it’s possible for selected colleagues to ‘remix’ the file to suit their needs, or to create interactive challenges for pupils to work on in class. My Study Life – Originally designed as a form of digital homework diary, My Study Life has been further developed to allow students, teachers and lecturers to better plan their time. With specific task colour-blocking, alerts for due dates and multiple device off-line synching, it’s possible to keep track of all of your tasks, events and meetings at a glance, wherever you are. Notebook Pro – Every computer document has its limitations, but one of the greatest is the inability to accurately annotate. Notebook Pro removes that constraint, allowing users to take full control of their documents, whether PDFs or image files. From straight annotation to the insertion of Vector Graphics, you can write, draw, paint, add photos, save and export, making presentation creation easy. Teacher’s Second Brain – An extra brain for £0.66? Bargain! Teacher’s Second Brain is a new addition to the MS Education Store, but it seems like a good idea to us. On the surface it’s essentially an organiser, but it has a few added extras: allowing grade allocation and recording, absence tracking and seat planning. It may not have the full capability of the cranium, but it does mean that you can free the mundane essentials from your memory, if you can access them all at the touch of a button on one of your Surface devices. Teaching isn’t easy and anyone who chooses it for their profession deserves all the respect and help that they can get. 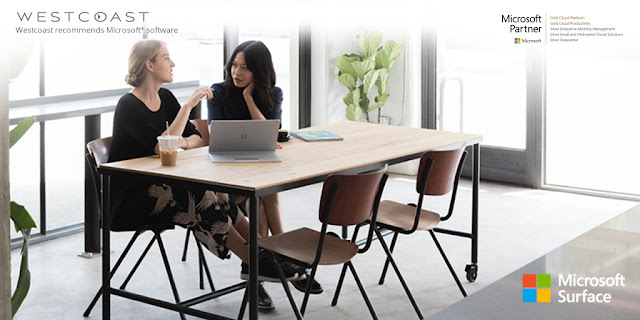 The MS Education Store can’t do a teacher’s job for them, but when working in tandem with an Microsoft Surface device, it can certainly help. With savings available of up to £176 per unit on specific Surface Pro SKUs, take advantage of some great deals tailored for education.